The EHF Body of First Instance has dealt with the case of the Croatian team RK Metkovic. The EHF Body of First Instance has dealt with the case of the Croatian team RK Metkovic after the Men’s Challenge Cup Round 3 second leg game between SC ”Time-Burevestnik”/ UKR and RK Metkovic/ CRO was cancelled. According to the information from the Croatian club, the team made the decision not to travel to the Ukraine for the return game of the fixture. Therefore the handling of this matter by the club is regarded as withdrawal from the competition. The case was dealt with according to the 2009/10 European Cup Regulations. The club of RK Metkovic has to pay €10,000 fine and will be suspended from taking part in the European Cup competitions for the next two seasons. SC ”Time-Burevestnik” has qualified for the Last 16 of the 2009/10 Men’s Challenge Cup. 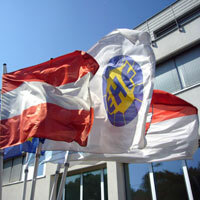 In line with the EC Regulations, an appeal may be filed to the EHF Arbitration Tribunal within seven days.